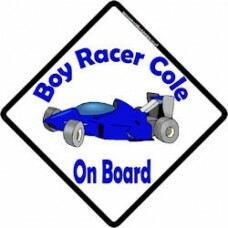 A boy racer formula 1 car in blue, a great novelty gift or stocking filler for anyone who loves thei..
A boy racer Lamborghini sign, great for those racer wannabe's, a brilliant novelty sign for anyone..
A Ferrari is everyone's dream car, so this makes the perfect sign for and car enthusiast and boy rac..
Do you know a crazy driver? 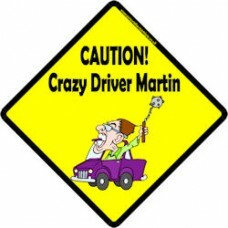 someone who always has road rage? 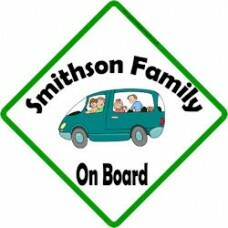 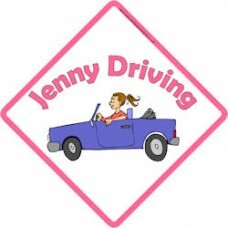 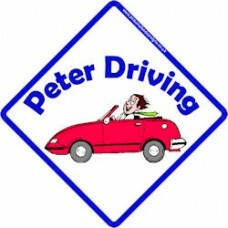 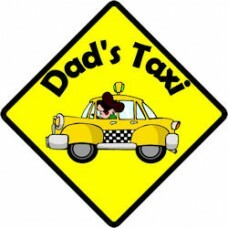 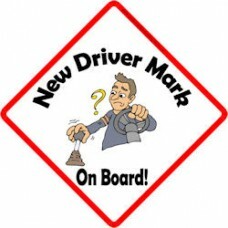 Make other drivers aware with this fun..
A family on board car sign, a great idea for any road trip or holiday excursion. 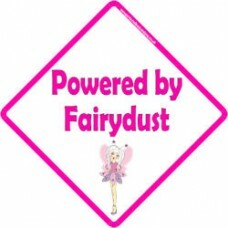 You can customise t.. 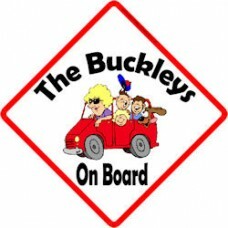 I your car jammed packed full of people and luggage when you go on your holiday? 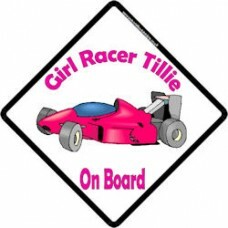 if so, this sign is..
A pink formula 1 racing car, the ideal car sign for any girl racer to display in the back of her car..
An orange Lamborghini super car for the girl racer to display in the back of her car. 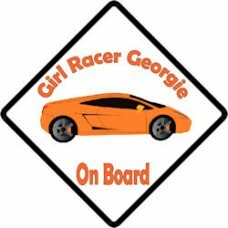 Girl racer on .. 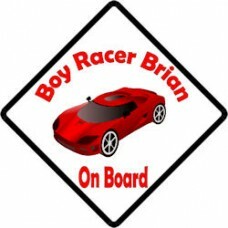 The ultimate super car, red Ferrari, surely this is every girls racer's dream car that they want to ..
A granny on board sign with a difference, driving a nice red sports car! 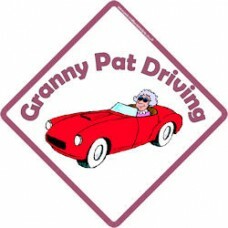 who says grannys are boring..
A man driving a big red sports car, could be a mid life crisis maybe? 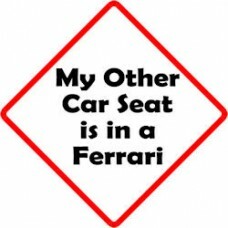 A great gift for Father's Day..
My other car seat is in a Ferrari. Let people think your little one lives the high life with this si..
My other car seat is in a Lamborghini . 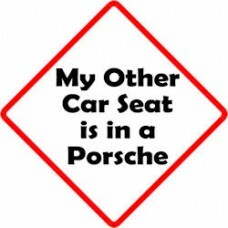 Let people think your little one lives the high life with th..
My other car seat is in a Porsche. 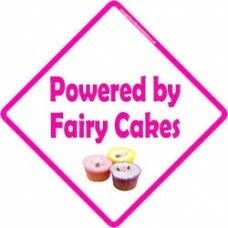 Let people think your little one lives the high life with this si..
Powered by fairy cakes, is a play on the powered by fairy dust car signs, but for those of us who lo..
Powered by fairy dust, we are sure that fairy dust must be more expensive than petrol though?.. 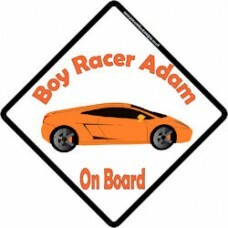 Do you hate babe on board signs? 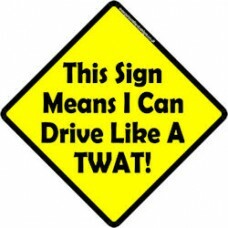 if so, get your own back with "this sign means I can drive like a t..